Ride a bike: I'm off! 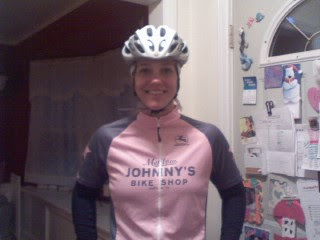 Up at 4:45, meeting a friend to ride with me for the first bunch of miles. Bye! she ::made you:: get up in the middle of the night to take a picture?! you own your auntie now, jordyn. oh, nice pic.